Pabi Moloi is an ambitious young woman who has a wealth of broadcasting knowledge, including extensive experience in both radio and TV. As a corporate MC, notable events that Pabi has hosted include a BBC new programming showcase in 2014, Telkom Stars In-House Gala Awards in 2013, the Nedbank Information Technology Awards in 2014, as well as the Jet Summer Fashion Launch in 2014. Pabi can easily weave between business and glamour on stage. Her career started out in television at the age of four on a major youth campaign for the organisation. She remained in front of the camera, memorably on K-TV until she was 18 years old when she broke into radio by winning 94.7’s Hot Jocks talent search. 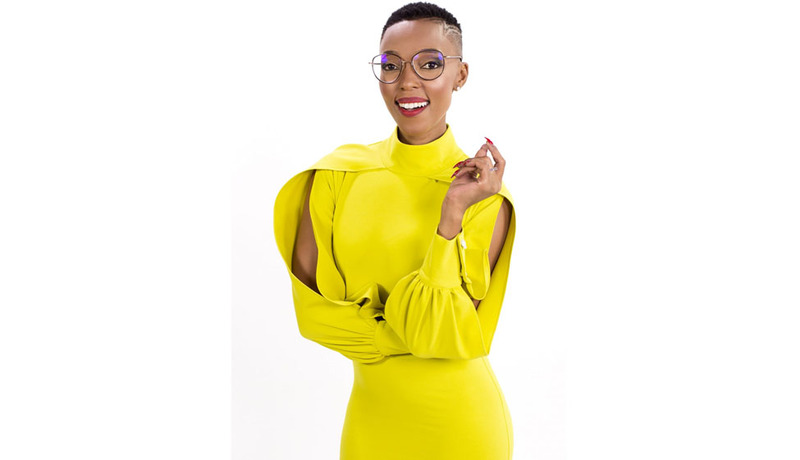 She went on to host various regional and national radio shows before returning to Highveld as the youngest presenter in the weekday line-up with her 13:00pm to 16:00pm slot. Pabi now hosts the Power Fix on Power FM 98.7 on Saturday and Sunday afternoons. In addition to her radio work, Pabi has appeared on our TV screens as host of MNET and then Mzansi Magic’s glossy lifestyle show, All Access. She then became the co-host of SABC 3’s Strictly Come Dancing. A natural in front of an audience, Pabi got to host the ultimate hostess when she MC’d an O Magazine workshop with Oprah Winfrey in Johannesburg. At the 2011 South African Style Awards, she received an award for the country’s ‘Most Stylish TV Personality’ and she also had the prestige of being given the ultimate Style Icon Award. In 2010 she anchored a live broadcast with the BBC in celebration of the 2010 FIFA Kick-Off Concert, a part of which she presented live in front of an audience of more than 10 000 people. She has featured in various magazines and TV shows and she was named one of the Cosmopolitan Magazine’s Fun Fearless Females for 2010. She was also named the Woman of Tomorrow in the inaugural SA Iconic Women Awards hosted by Olay in 2009. She has also graced the covers of Bona, True Love, Destiny and various in-store magazines. Pabi slips seamlessly from glamour to banking as anchor for a top bank’s corporate TV broadcast, a position she’s held for over 6 years. She also played the role of MC on live television events such as the 2005 South African Music Awards and a live international AIDS day program that broadcast internationally in 2004 and the 2012 South African Music Awards. As a young, successful black woman with her own radio show, (who also hosts a popular lifestyle and entertainment show on TV), makes Pabi a wonderful role model. Fortunately, she takes this role seriously and she is very conscious of the way in which she projects herself in the public. She runs her foundation, Kgaketsa, which aims to uplift the youth in underprivileged environments.